Look the Other Way is a moralistic screenplay about a common evil that packs a punch. 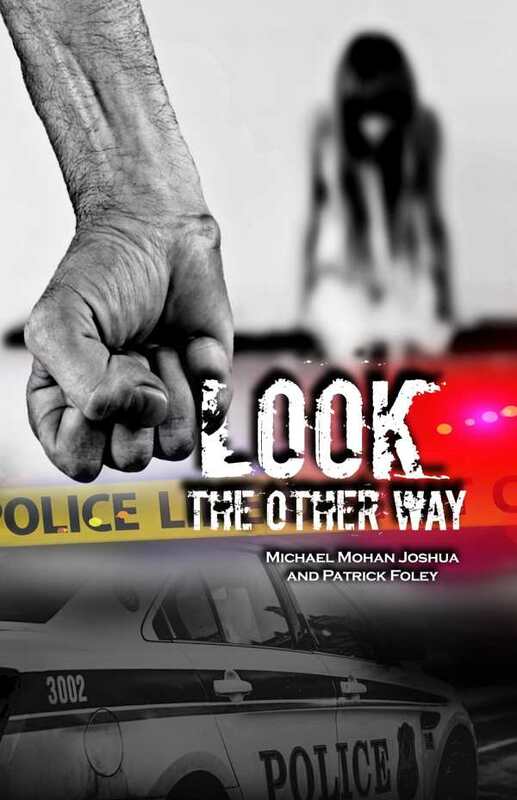 In Michael Mohan Joshua and Patrick Foley’s Look the Other Way, the horrors of domestic abuse and sexual assault are translated for the silver screen, or at least into an easy-to-consume screenplay format. Despite being a work of fiction, this story aims for a nonfiction feel, with a strong moral as its guiding light. The screenplay focuses on a tight cast of characters living lower-middle-class lives outside the desperate and desperately broken city of Detroit, Michigan. Police officers Lieutenant Frank Murphy and Pete Bush are hardboiled cops who share the same Irish extraction and the same cynical outlook on life. They are the ones who have to respond to Megan O’Donnell, a pretty twenty-three-year-old whose bruised and battered face is a testament to her long dance with violence. Her oppressor is, unsurprisingly, a romantic partner. Other characters in this drama include Tom Murphy, Frank Murphy’s brother, who is close to the edge thanks to his love for the bottle; Frank Murphy’s long-suffering wife, Melissa; local roughnecks and barflies Chris and Mick; and a fiery Latina with red hair, Stacey, who is Megan’s best friend. Each character speaks in the familiar patois of everyday life, though some are stereotypical. The screenplay goes down easily for a text that sheds light on the plague of sexual violence. It is a reminder that domestic assault and sexual violence are everywhere, in every community, and that turning a blind eye only serves to further traumatize victims and embolden abusers. While the story is told in unadorned prose that is sometimes rich in detail, the core narrative is hardly different from the many made-for-television crime dramas that deal with the same subject matter. Readers will find the main plot instantly recognizable. The story line is buttressed by a didactic message that, while important, comes across as preachy. There’s a flavor of Victorian household sermonizing here that may put off contemporary audiences. Despite its formatting, it is hard to imagine Look the Other Way as a fleshed-out movie. It feels better suited to the small screen, or to an educational film about the dangers of sexual assault. There is no major action and there are few substantial monologues. Not much happens beyond the book’s scenes of ordinary drama and macho banter. Look the Other Way is a moralistic screenplay about a common evil; it packs a light punch.